Dr. Catherine Hua Xiang gets things done. She joined the LSE in 2011. 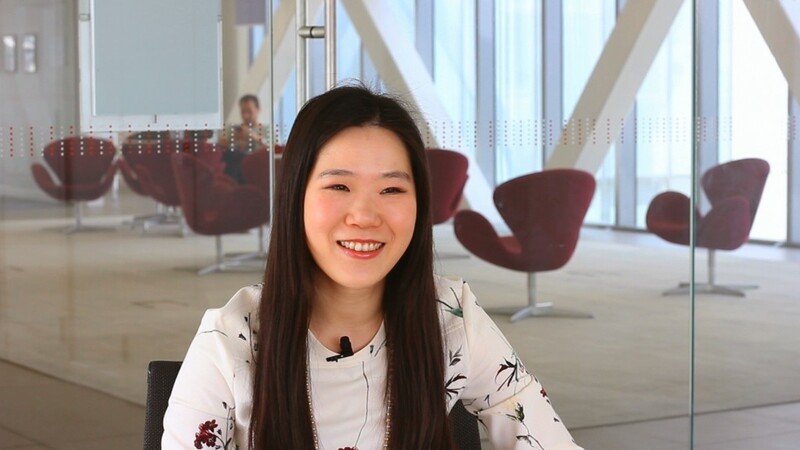 In her first months she approached Learning Technology & Innovation (LTI) because she wanted to create a series of Mandarin videos to complement her teaching on LN140 (Advanced Mandarin and Society). The project has since been made integral to the course’s continuous assessment and the videos are available on the LSE youTube channel. Catherine is keen on using educational technology; she appreciates the power of video and she doesn’t flinch from challenging her students to think creatively and act collaboratively. This year, when we launched the “Students as Producers” strand of our Learning Technology & Innovation Grants, she immediately applied. We funded her project, which involved students filming their own news or current affairs footage in Mandarin. Catherine clearly saw the potential in asking students to become creative. Creating something, she says, gives students more power over their learning, through a sense of ownership. Students were asked to interview native speakers about issues with global relevance, and this pushed them out of the classroom and into ‘learning-by-doing’. The challenge that comes from the initiative is not only to students, who have to develop and apply their creativity, but also to teachers, who need to respond on the fly to the students’ own creations. But this isn’t a problem for Catherine – who gets things done – whose students praise her dedication, patience and flexibility, and recommended her for the 2015 TLC Award for Inspirational Teaching, “for being charismatic, driving students to learn more, challenging their perceptions and encouraging them to apply their knowledge to the wider world”. Catherine’s doctoral thesis is in cross-cultural communication and pragmatics; one of her research interests is in the speech act of apology. Asked if those who speak multiple languages might be multiple home-owners, alluding to a tediously oft-cited quote that “language is the house of Being”, Catherine answered shrewdly: “if you learn more languages, you can open more doors – so your house is getting bigger”, which adds a cool, nicely spatial dimension to the original thought. It shows, I think, that Catherine is playful and thoughtful about language and languages. Just the sort of language teacher anyone would want. Students were to work in pairs, submit a proposal of their video topic by the end of Michaelmas term and individual commentaries on the topic by week 3 of Lent Term. Each component counts for 10% of the final mark. Students to submit a finished 10 minute video by week 6 of Lent Term and a reflection on the project by week 9. These count for 20% and 10% of the final mark respectively. Videos were shared among the class and the three best received a prize. Teachers had marking and admin reduced. Result: students and teachers very satisfied!